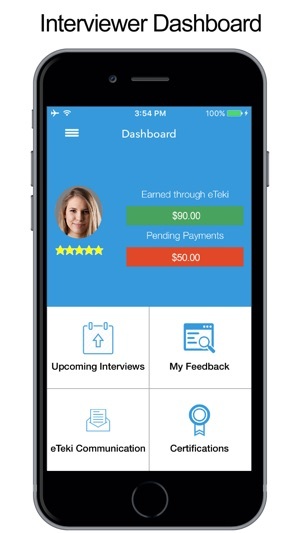 Achieve a greater return on interview with eTeki's Smarter Interview solution. 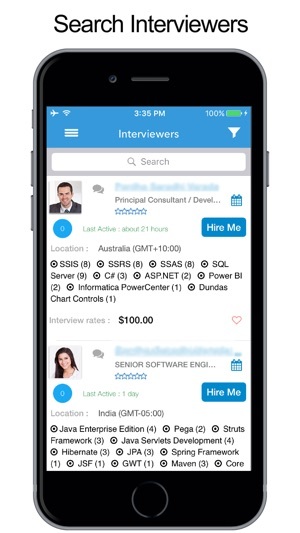 eTeki helps recruiters and hiring managers obtain expert feedback on IT job candidates with help from freelance IT interviewers in our marketplace . 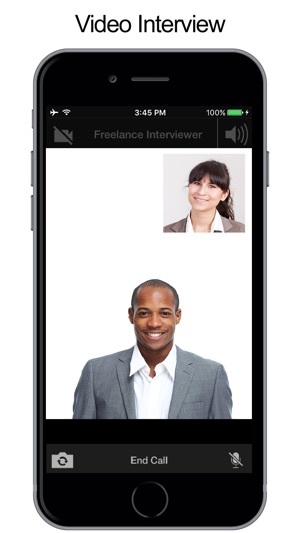 Our technical interviews are conducted via eTeki’s easy-to-use video interviewing platform which makes on-demand technical interviewing seamless and more effective. Expert IT professionals earn extra money by interviewing IT job candidates provided by eTeki clients. 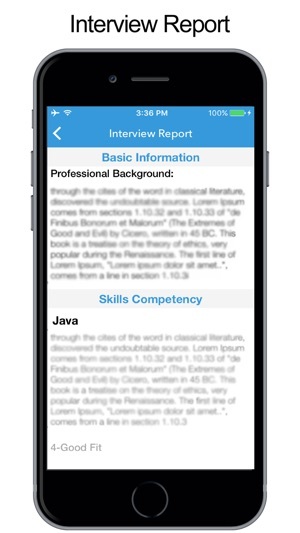 As subject matter experts and hands-on practitioners, IT experts possess the knowledge and insight needed to accurately evaluate technical job candidate qualifications. Become an eTeki technical interviewer to make a lasting impact. We look forward to collaborating with you and helping you make better hiring decisions. Contact customer care at 1-813-513-7722 ext: 6001 or email us at info@eteki.com.